Tonight Nicola and I have three very different drams on the table from Wemyss Malts. 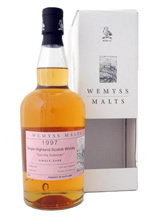 Wemyss Malts a family owned company, founded in 2005. Wemyss Malts have already invested several millions in the Kingsbarns Distillery in Fife in early 2013. Construction being finished late on 2014 with spirit production starting November 2014. Nose…Oak shavings, fruits of the forest, spicy dates, dark fruit jam. Taste…Sherry soaked sultanas, mixed nuts, a wee ginger nip, big slice of fruit cake. Finish…Medium to long finish, a ginger and date spicy tingle to the tongue. 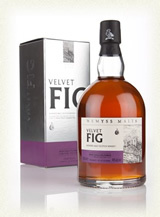 A smashing wee dram all the malts in this blend have all been aged on Oloroso Sherry casks, with only 6000 bottlers being produced.it is priced at a very affordable £38.95. I felt that it need just a teardrop of water to open it up a little more, overall a very delightful wee dram. Nose…The Waiter has just passed with the dessert trolley. Strawberries with crushed nuts, vanilla ice cream, caramel sauce. Taste…Quite a viscous feel in the mouth, vanilla, mild pepper nip, chocolate covered cinder toffee, mixed berry compote, more crushed mixed nuts. Finish…Long with a wee hint of warming spice, vanilla lingers long and sweet. This Single Grain dram was matured in an ex-bourbon barrel, and only filled 242 bottles. Nose…Sweet fruits, spicy tingle, linen in a laundry wicker basket, runny honey over vanilla ice cream. Taste…Lightly singed oak, fruity, ultra smooth, little hint of peat, the laundry is now drying on the beach, wee pepper/ginger nip, a little drying but warming. 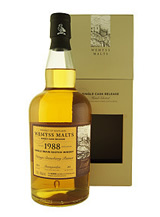 Finish…Medium finish, the peat seems to linger, sweet and fruity, quite a dram. That’s all three tasted, all individual, the last one priced at around £66.00 is worth every penny. 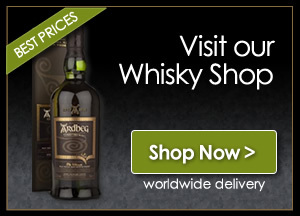 Nicola and I are big fans of single cask, cask strength Whiskies and the Wemyss Malts are now high on our list of must taste/have.